“Let no souls fear to draw near to Me, even though its sins be as scarlet”. 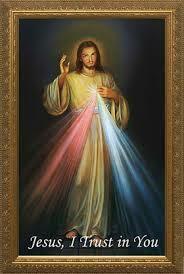 The Divine Mercy Chaplet is a recent devotion revealed by Our Lord to St. Maria Faustina, a Polish nun. 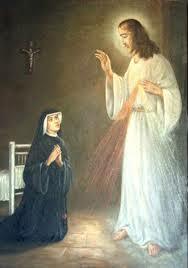 On Good Friday, 1937, Christ appeared to Saint Faustina and asked her to recite this chaplet for nine days, starting on Good Friday and ending on the Octave of Easter (the Sunday after Easter Sunday), now known as Divine Mercy Sunday. 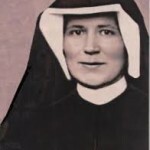 The chaplet is most often recited during those nine days, but it can be prayed at any time of the year, and Saint Maria Faustina recited it almost unceasingly. A standard rosary can be used to recite the chaplet and it takes only about 20 minutes. 7. 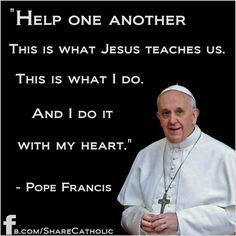 Pray the Prayer “For the Sake of His Sorrowful Passion” Ten Times.